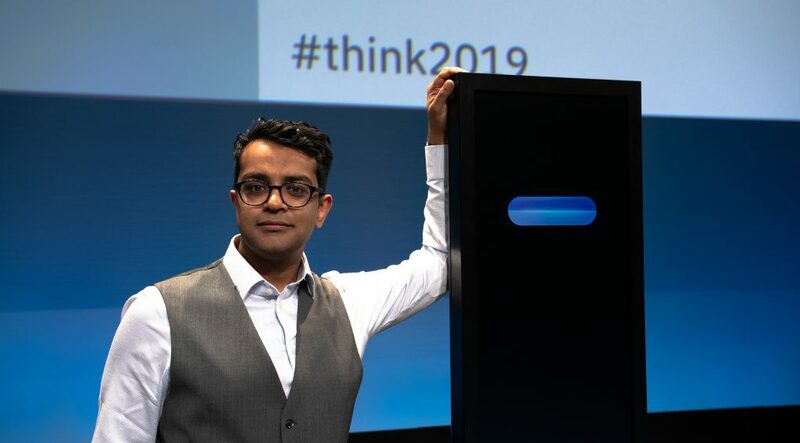 Last November we introduced TJBot – an open source, programmable cardboard robot powered by Watson services – to help demonstrate what’s possible with artificial intelligence. 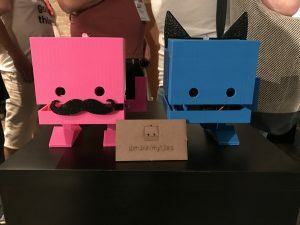 Outfitted with a camera, microphone, speaker, servo and LED, TJBot has charmed makers, developers, students and creators of all ages. The global community of TJBot enthusiasts continues to grow, as does the number of recipes – step by step instructions – created to bring TJBot to life. 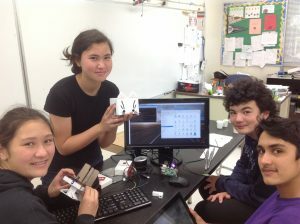 Teachers are especially interested in using TJBot to teach programming in their classrooms. To make programming TJBot even easier, and to help make it accessible to students who may not have access to a laser cutter or 3D printer, we developed the TJBot Swift Playground. 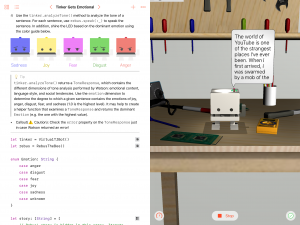 This playground enables learners to program both a virtual and a physical TJBot in the Swift programming language. Chapter 1: Tinker and Rebus tells a story of Tinker the TJBot and his pal Rebus the Bee. Teach Tinker how to shine, wave, understand emotions, and translate languages in order to perform a secret dance that transforms him into a real TJBot. Chapter 2: Building TJBot walks you through how to obtain your very own physical TJBot, hook up its electronics, and install the software. Chapter 3: TJBot Explores the World showcases the full functionality of your TJBot to listen, speak, and see. Learn TJBot’s life story, tell him to change the color of his LED, ask him what he is looking at, and play a game of Rock-Paper-Scissors. The TJBot Swift Playground doesn’t require an actual TJBot to use. If you have one and want to program it from your iPad, you’ll need to install the TJBot Daemon on your TJBot. The daemon enables your TJBot to listen for commands via Bluetooth Low Energy (BLE) from your iPad, so you can program your TJBot while sitting next to him. We hope our TJBot Swift Playground inspires young students to experiment with coding and influence a new generation of makers and creators. 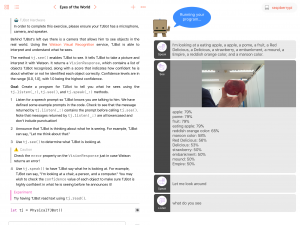 If you’re a student, if you’re a teacher, if you’re a maker or a creator, we invite you to experiment with the TJBot Swift Playground and create your own TJBot. Don’t forget to share your recipes and creations with the TJBot community! Learn more about TJBot, and order one for yourself – or for friends and family – in time for the holidays! A natural language-based system for interactive image retrieval that is more expressive than conventional systems based on binary or fixed-form feedback. 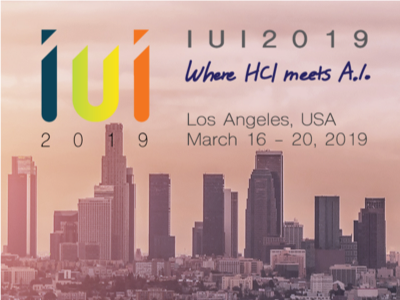 Today, an artificial intelligence (AI) system engaged in a live, public debate with a human debate champion at Think 2019 in San Francisco.